I am trying to get outside and be more active over the next few months. 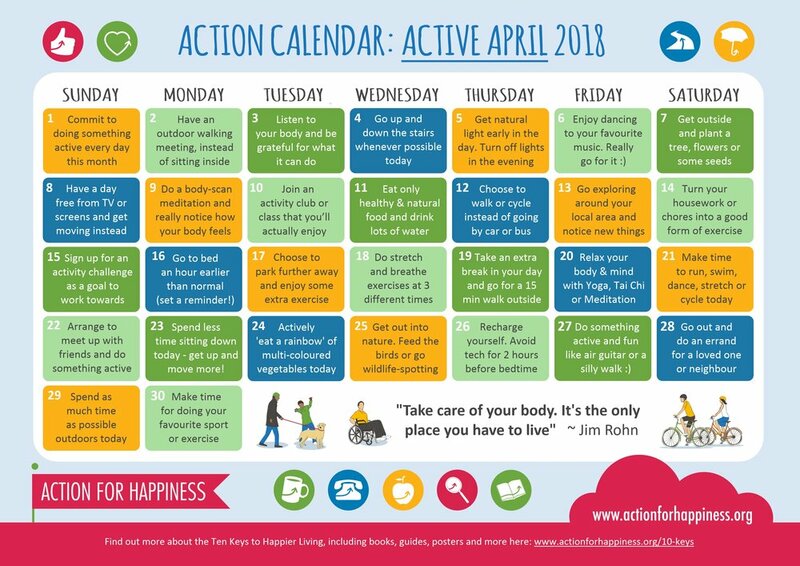 This Active April Calendar from Action For Happiness appeared in my inbox this afternoon - it's a useful prompt to nudge me in the right direction. Some really interesting perspectives in this interview.